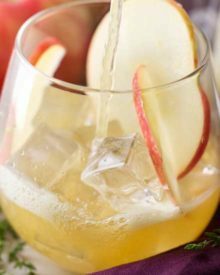 These refreshing bourbon cocktails are made with sweet and tart honeycrisp apples and comforting maple syrup… they’re the perfect Fall cocktail! Get ready to take a big sip of Fall! 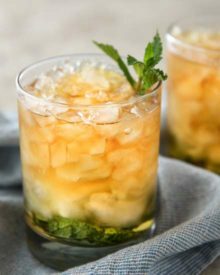 These maple honeycrisp bourbon cocktails are incredibly refreshing and a great mix of sweet with a bit of tart. 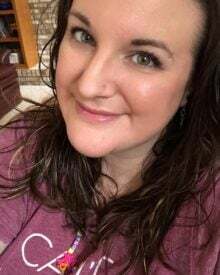 Now that schools are back in session, and September is a couple of weeks away, I’m starting to get excited about Fall! I know Fall is unofficially pumpkin season, but I prefer to think of it as the apple season. 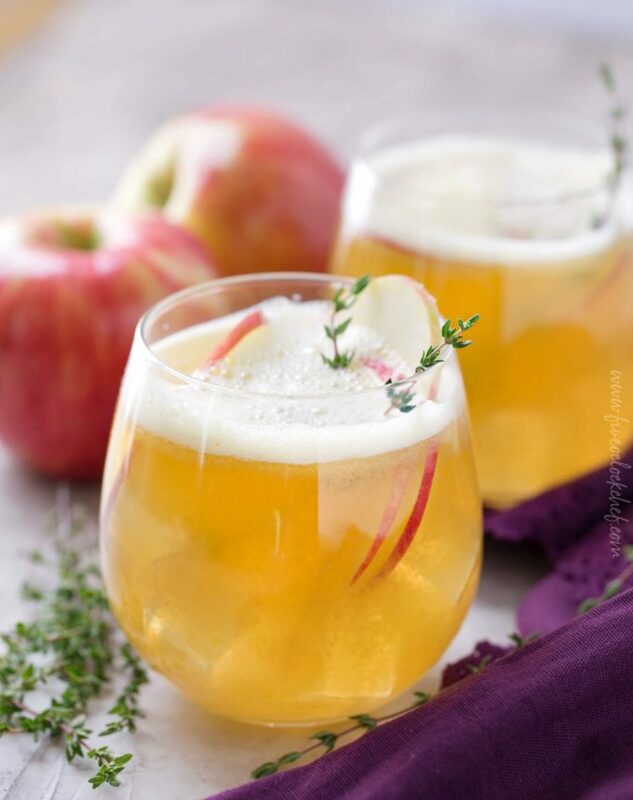 Apples and apple cider are so versatile, and with so many varieties of apples to choose from, the possibilities are endless! In this house, our favorite apple is the honeycrisp. Have you had one? 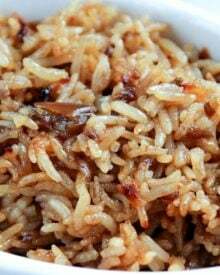 They are SO sweet, and like their name denotes, very crisp. 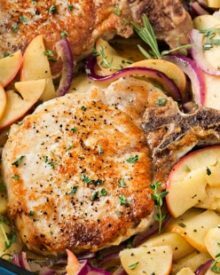 If you can’t get your hands on any of the honeycrisp variety, you could substitute with your favorite snacking apple… like a fugi, gala, etc. 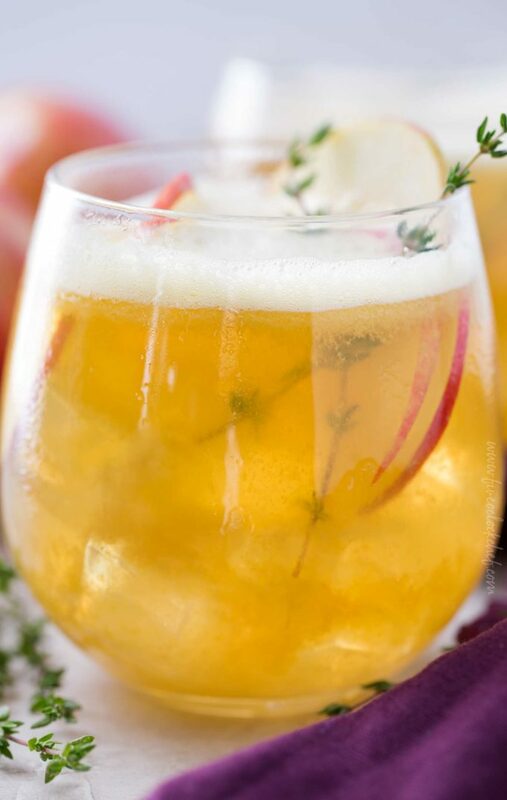 The first thing I did was add a bit more apple cider, which if you get the chance, try to go for the unfiltered fresh cider… but honestly any cider will do just fine. 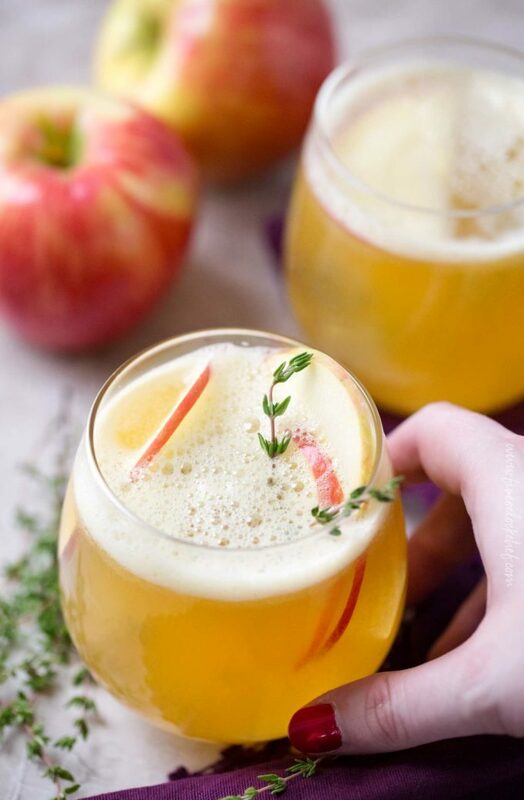 It adds an extra punch of apple flavor, plus some sweetness. I also added touch more maple syrup, to balance out the stronger apple flavor. Lastly, I added just a bit of granulated sugar. It’s not much, but I think it helps make the drink a smooth combo of sweet with some tartness, and not mostly tart. Yep! Sometimes we don’t want a spiked drink, or we’re having a party where there will be a lot of kiddos, so there’s 2 easy ways to make this a “mocktail”. 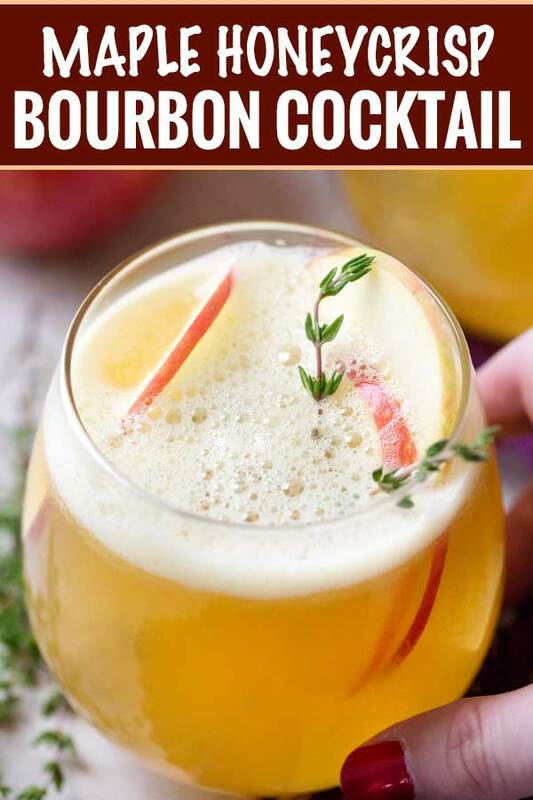 I think these bourbon cocktails would be perfect on Thanksgiving, or any other Fall party… but they’re also nice and refreshing if your area of the world is dealing with some unseasonably warm weather! I know here in the Midwest, we routinely have weather in the high 80’s well into Fall. So go on, whip up a batch and pour yourself a glass… you deserve it!! 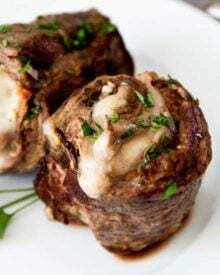 Blender – I have many blenders, but I really like this one the best! Stemless wine glasses – With kids around, stemless glasses feel less prone to being knocked over! 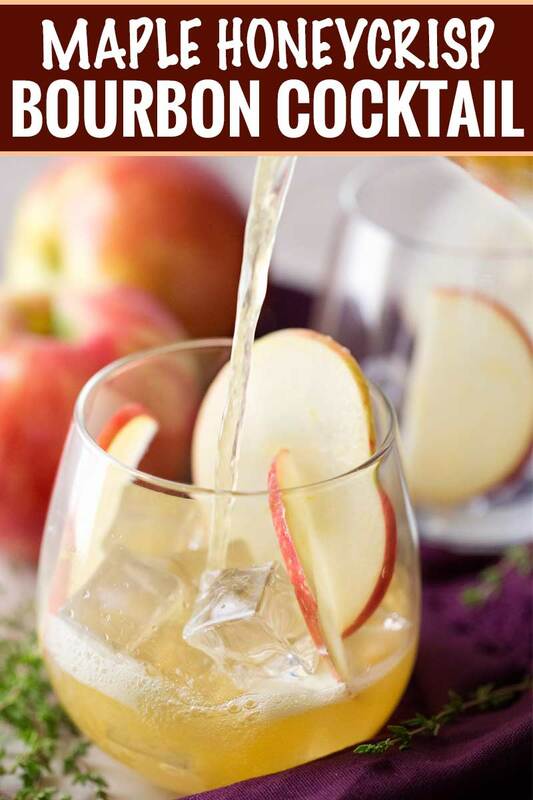 These apple bourbon cocktails are incredibly refreshing and a great mix of sweet with a bit of tartness. 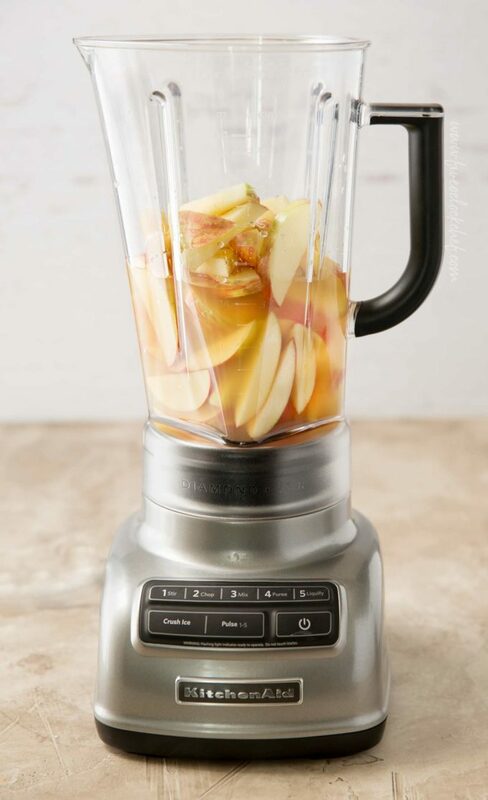 Add apples, water, cider, lemon juice, maple syrup and sugar to a blender and process about a minute, or until smooth. 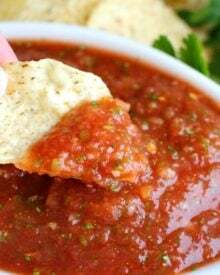 Place a fine mesh sieve over the top of a pitcher and pour blender mixture through the sieve, pressing with a rubber spatula to remove all liquid down into the pitcher. 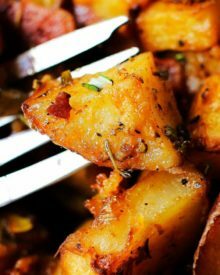 Discard solids. Stir in bourbon and chill for an hour or two. 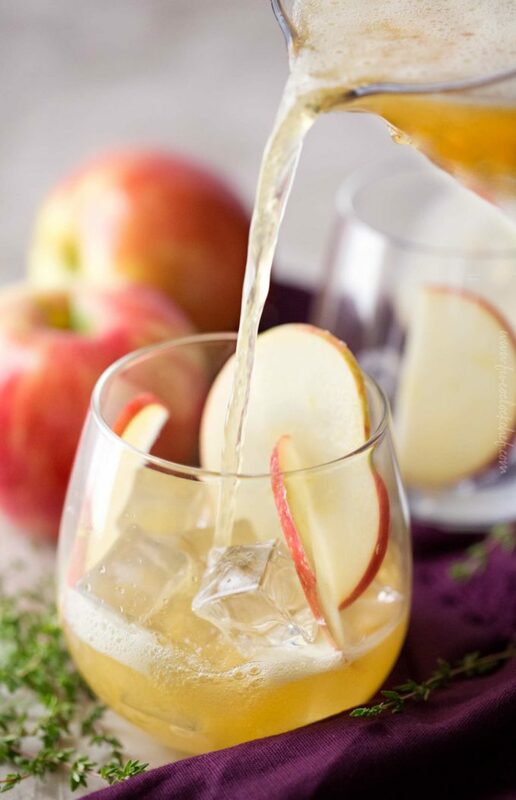 Serve over ice, and garnished with apple slices and fresh thyme sprigs. 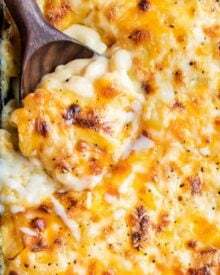 This will be perfect for fall! I love love love apples & bourbon together! This will be the perfect addition to my Thanksgiving cocktail tray this year. This looks like fall in a cup! Healthy and yummy! Love this for summer! Hot summer day perfection. This makes me so excited for fall! This is the perfect way to celebrate being VERY close to fall. I’m so ready! Cheers!